Working as part of your team Rochester Midland pulp and paper specialists work to provide sustainable solutions that optimize operating efficiency. 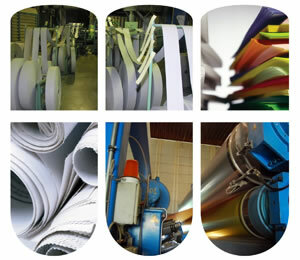 RMC provides high end and recycled paper machine chemical applications and expertise through a combined effort of our paper specialists and R&D team. The results from this combined effort are improved operating efficiency, paper quality and profitability for our customers. Automation to reduce the downtime required cleaning the felt and papermaking equipment. Recaptured more pulp waste to be sold for use as animal bedding. Increased boiler cycles to save on water and chemical use. We also recognize that you are looking for plant wide solutions and we have sustainable solutions from your locker rooms/showers to facility maintenance to transportation and more.